Just trade-in your old electric buggy. It doesn’t even have to be in working order. Just pop it in a box and we’ll pick it up at no charge to you. The Explorer golf buggy is Parmaker’s top-of-the-range 4 wheeler buggy. The PARMAKER Scout golf buggy is the most intelligent electric walker made today. Read on and we’ll tell you why. The PARMAKER Spirit golf buggy is a no-nonsense, hard working golf buggy designed for use by those who need to cruise the course in style. Parmaker is the trusteed manufacturer of motorised golf buggies & Electric golf buggies. We make the highest quality golf buggies and golf cart parts and accessories. Parmaker has been Australia’s leading Golf buggy manufacturer for over 30 years. When we say they’re ‘Built Better’, we have the runs on the board to prove it. Parmaker is pleased to offer our customers a wide range of golf mobility vehicles, and we are constantly striving to make our offering better. Our ambition is to keep golfers on the links for longer, and our Built Better range has something to suit every requirement. Our Electric Golf Carts are designed and made in Australia. At Parmaker, we make everything ourselves. Golf buggy frame, wheels, tyres, gearbox etc., are all made in our Factory in Melbourne. Our high quality Electric Golf carts are available at affordable prices, especially when you consider their reputation for longevity. A purchase of a Parmaker is an investment in the future – it gives you peace of mind and confidence that you’ll never be let down on the course. Electric Golf buggies (or trundlers as our NZ friends call them) are comfortable, durable and compatible. Most of our models fit in a small car. The battery life time is longer than others and easy to charge. Motorised golf carts manufactured by Parmaker are user friendly, compatible. The lightweight construction means our golf buggies are easily broken down for storage and can be easily put back together by just about anyone. All of our motorised 3 and 4 wheeler Golf biggies can be transported in a car boot, or with Parmaker’s ingenious and simple car carrier. 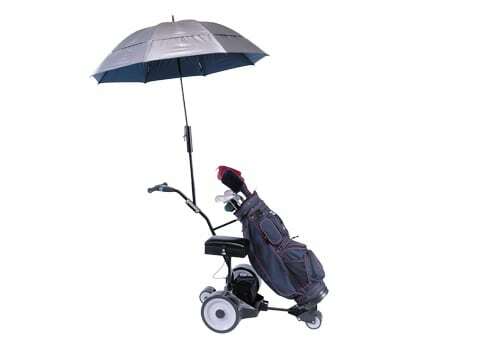 Play better golf for longer with Parmaker’s exceptional range of golf buggies and walkers. Parmaker golf buggies are built better, stronger and last longer. We are your 100% local Golf buggy manufacturer. We offer high quality after sales service and have been doing so for 30 years If you need something, we’ll be here. Parmaker has been Australia’s leading Golf buggy manufacturer for over 30 years. When we say they’re ‘Built Better’, we have the runs on the board to prove it.